Often sharp in nature, Achilles tendon pain can be sudden or ongoing depending on the degree of injury. Symptoms often include a throbbing, burning sensation that won’t go away. What to do? Consider pt Health’s Achilles tendon treatment. It’s designed for patients of all ages and backgrounds with complaints in and around the ankle and calf muscle. Whether you are suffering from a rupture, tear, strain, pull, tendonitis, or chronic tendinosis, our expert therapists will properly assess your condition and prescribe a treatment program that works for you. Under the guidance of your therapist, you’ll take on strengthening, flexibility, and gait dynamics. Before long, you will be back to enjoying not only your favorite activity, but daily activities as well. The Achilles tendon serves as a powerful connection between the calf muscle and heel of the foot and is therefore prone to injury caused by excessive force, repetitive movement, overuse, and sudden movement. Achilles Tendonitis – Inflammation of the Achilles tendon. Achilles Tenino is – Chronic Achilles Tendonitis and one of the most common conditions we see under our Achilles tendon rehab program. Ruptured or Torn Achilles Tendon – This is a serious injury due to a partial or complete tear. Over time micro tears can give way leading to a rupture. The only way to treat a rupture is through surgery followed by intensive physiotherapy. How can you determine if you have an Achilles tendon strain or something else? Can I run with chronic Achilles Tendonitis? What causes swelling in and around my calf muscle? At pt Health, we often hear questions like these as patients wonder about the cause of their problem which can be widespread. For example, overuse and repetitive movements can lead to tendonitis conditions. Jumping into a workout program without sufficient warm-up can lead to tears or even ruptures. Sudden stop and go movements which are common with athletes can also cause a tear or rupture to occur. Symptoms of Achilles tendon injury may initially be vague. Over time however micro tears, swelling, and vigorous stretching can lead to a rupture which is felt as sudden, severe, sharp pain. When you experience a rupture, you may also hear a pop as the tendon releases the calf muscle. With a tendonitis condition, swelling is likely to occur around the ankle region. When you visit a pt Health clinic for Achilles tendon pain, your therapist will first perform a thorough evaluation to either diagnosis or confirm your condition. During this initial appointment which is typically one hour long, your therapist will ask you to identify the location of your pain, which is typically directly over the Achilles tendon. Additional questions will address your pain threshold and whether there are any movements which make it worse such as: descending stairs, walking, running, or any movement where you are coming up on your toes. Along with pain, your therapist will also address swelling which often resides in the leg muscle and ankle region. To treat this inflammation, your therapist may use ultrasound which sends sound waves to the muscle and creates a rippling effect which takes inflammation out of area and stimulates collagen synthesis. Ice and massage therapy can also help relieve swelling and pain while loosening the surrounding muscle tissue. Eccentric strengthening stretches which put greater stress on the tendon and help to reinforce the tissues. If there is a gait issue orthotics may be prescribed as many Achilles tendon injuries stem from improper foot movement. Taping which stabilizes the Achilles tendon and surrounding muscles. How Long will My Achilles Tendon Recovery Last? Physiotherapy treatment plans for Achilles tendon conditions can take anywhere from eight to twelve weeks starting with three weekly visits and divided into three phases. During the first phase, your therapist will work on relieving swelling and pain. Phase two includes guided exercises and strengthening movements. Finally, as your condition improves during phase three, visits will begin to taper as your therapist prepares you to get back to your normal routine which includes exercises for at home. Ultimately, your therapist will aim to arrange appointments around your schedule which can take place early in the morning or well into the evening hours. 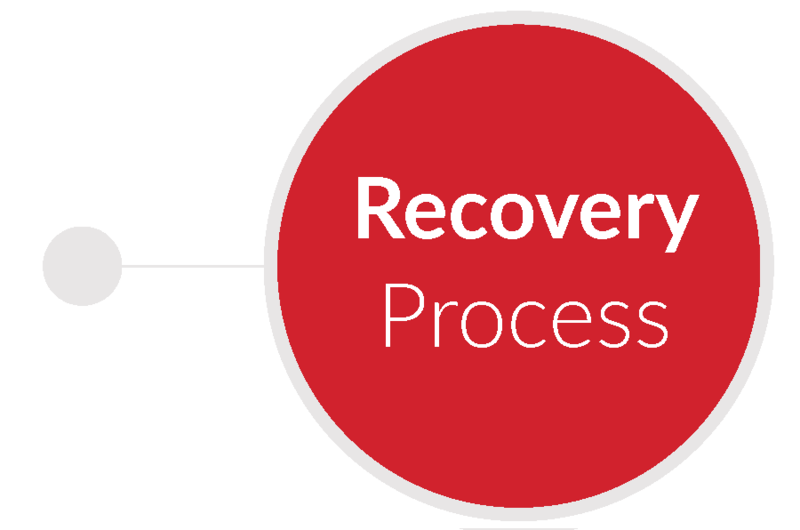 We often hear from individuals who want to know how to speed up the recovery process. While it may seem your treatment plan is lengthy, rest assured it is designed into phases which help you progress toward a safe recovery. If you jump back into exercise too quickly following injury, it is likely you will have to start the recovery process all over again. Following your physiotherapy rehab program, your therapist will advise you on avoiding aggravating activities along with education on proper at home exercise in order to facilitate your independence. Also, depending on issue related to the foot joint, your therapist may even refer you to a gait specialist to further remedy you Achilles tendon pain. Katrina has always been an athlete which is why she didn’t think much about intensifying her workout routine at the gym. The only problem however, was instead of Katrina being a star player on the college basketball team like she was years ago, she now had a full time job, kids, and a host of other interests to attend to. However, as full as her life was, she didn’t stress about not having as much time to spend on the conditioning exercises she used to perform under the guidance of a coach so long ago. Instead, she was grateful for any amount of time to squeeze in a workout. That meant most mornings heading to the gym early, rushing through her workout, and getting home in time to get the kids and her ready for the day. Looking back, Katrina realizes all that rushing around was a recipe for disaster however. “At first, I thought I had pulled a calf muscle,” she said when referring to the incident which led to her Achilles pain. “It wasn’t anything specific, more like a dull aching pain that eventually, well got much worse.” In the past, Katrina was used to some tenderness in her calf usually because she skimped on her stretches. After getting a ride home from a friend, Katrina had to stay home from work because she could barely walk. A visit to her doctor, followed by an orthopedist gave her the news she didn’t want to hear. Katrina was going to need surgery to repair her rupture. “All I could think about was how long my recovery was going to take,” she said. “There would be days missed from work, help needed with the kids, not to mention my exercise routine going down the drain. I was worried. Worried about getting my life back and how long such a recovery would take,” she said.